With Valentine’s day coming up I thought I would publicly declare that I’m in love! Its a rare occasion to have such a great experience with a brand that you fall in love. In this case, I have fallen in love with Honda. I arrived at my Honda service centre at 9:40 this morning and was greeted by a gentleman who wrote down my plate number, time of arrival, mileage, asked for my keys and escorted me inside. Once inside a friendly woman checked off my name on her list and showed me to the service counter where they confirmed my contact number. I signed the service agreement and was given a voucher which I took to another counter where I showed my drivers license and was given the key to a courtesy car. I left the centre at 9:50 am. This entire procedure took 10 minutes including the pick up of a rental car! I love my Honda. Its the best car I’ve ever had. I love dealing with Honda and everything about Honda. 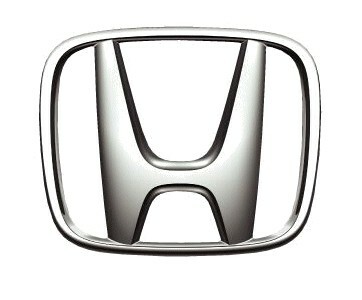 My next car will be a Honda. I don’t know about you, but when I fall in love, I’m not open to dating anyone else! I know that cars are different from CPG’s but how are you going the extra mile to create a great experience for your consumer? How are you building brand loyalty? I believe it’s possible for CPG’s to create great brand experiences but it will just take a bit of thinking out of the box! Hi Rhonda, I totally agree with you. When a company goes the extra mile for you, then you’re more likely to move from a consumer to a brand advocate to a brand fanatic. I had an experience with OCZ Technologies memory chips for PC. I called to complain that I had purchased the memory followed the instructions to install and my computer was not starting. The tech walked me through changing bios settings and informed me that the memory chips I purchased were not optimized for my motherboard but would work. He said that he would send me replacement memory, call to help me install and change bios settings and take care of me. I had the 4 new chips in 5 days (upgraded to more expensive … at no cost to me ) and now my computer ZIPS along with all the memory. I love my Honda, too! Although we are in Eastern Europe, Honda’s service level sets the highest standards for our market. And the car is good, I agree. I love it so much that I wasn’t really annoyed by some minor fault (they had to replace something, I even don’t remember what it was). Any time I service the car, I receive it shining as a new one.